Creative2Creative Matching is one of the programmes run by a creative momentum project. 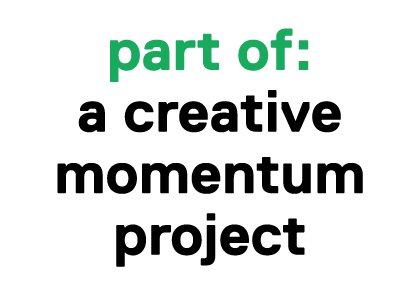 This programme matches creative entrepreneurs working in the Arts, Crafts, Design or Media & Technology sectors from across Northern Finland, West of Ireland, Mid-Sweden and the South East of Northern Ireland. Each pair of entrepreneurs works together online over a 6 month period (approx. 2 hours a month). Participants can compare their experiences of working in the sector in different countries, share their skills and contacts or maybe collaborate on a joint project. In order to apply to the programme, applicants must be registered and have published a Profile, on MyCreativeEdge.eu website. You can register to join MyCreativeEdge here. To find out more information about the programme and apply, click here.